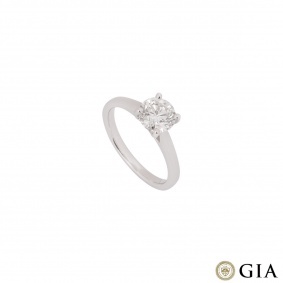 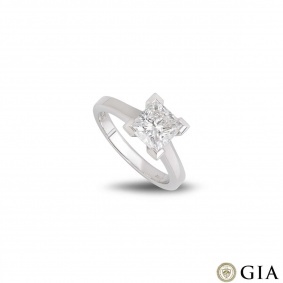 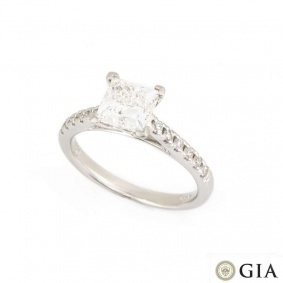 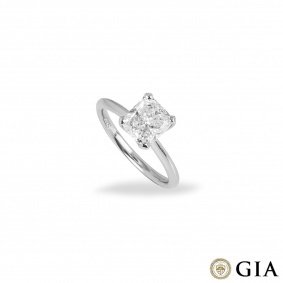 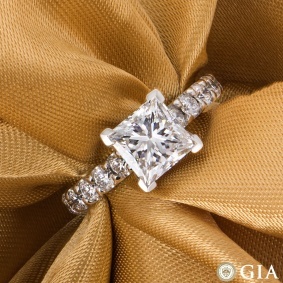 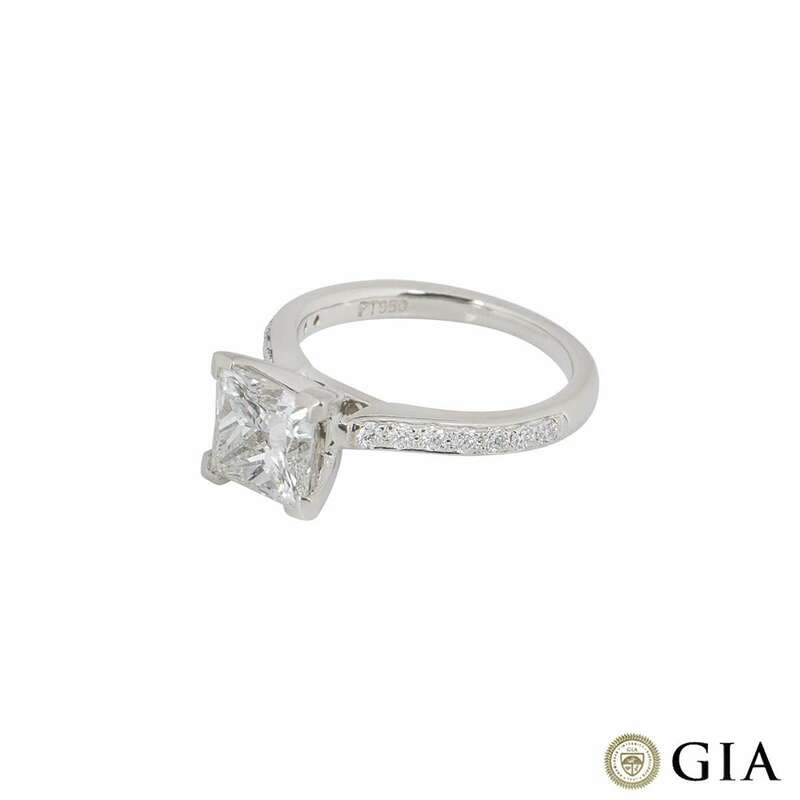 An elegant diamond ring in platinum. 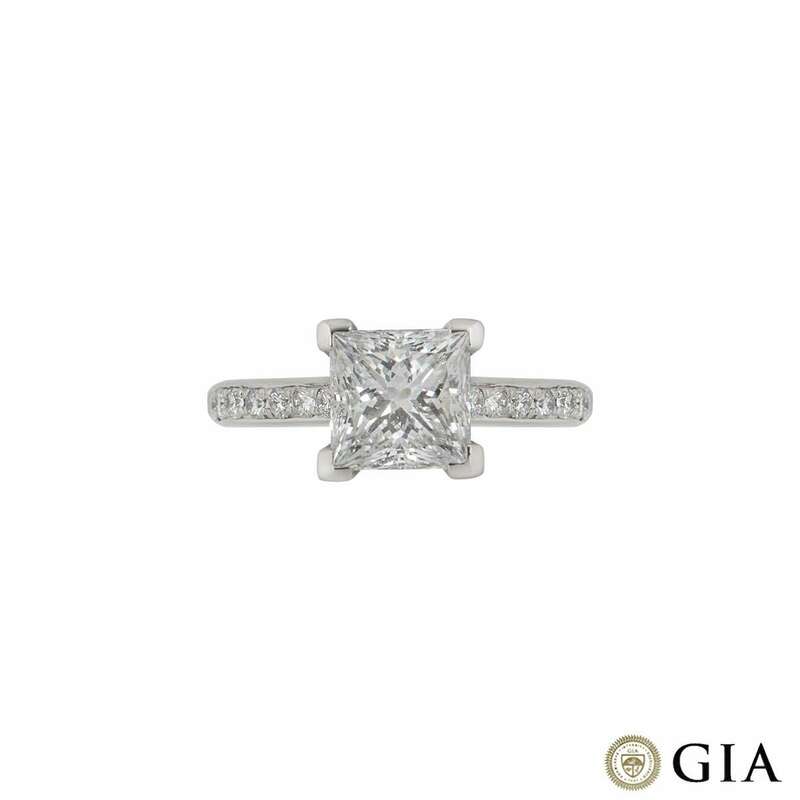 The ring is set to the centre with a claw set 2.02ct princess cut diamond, H colour and VS2 clarity, complete with GIA laser inscription. 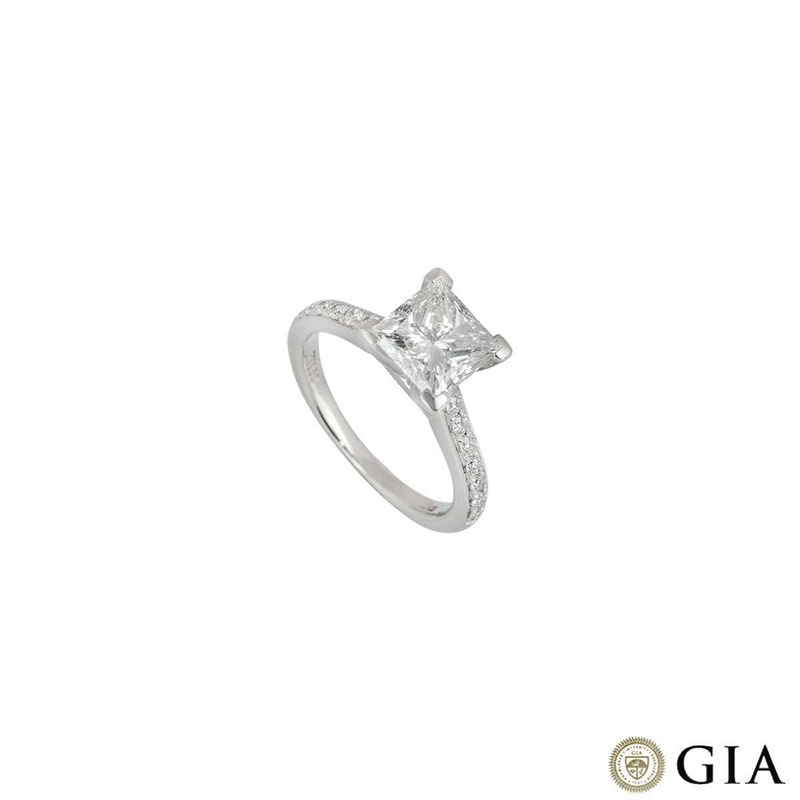 Accentuating the central diamond are pave set round brilliant cut diamond shoulders totalling 0.23ct, well matched in colour and clarity. 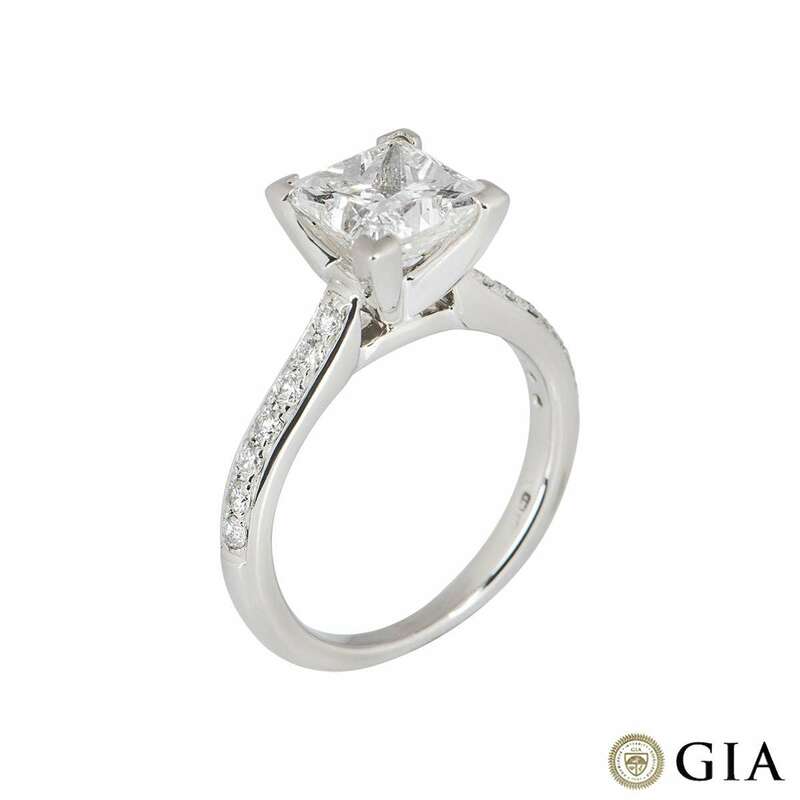 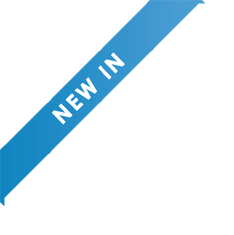 The 2mm ring is currently a size K but can be adjusted for the perfect fit and has a gross weight of 5.96 grams. 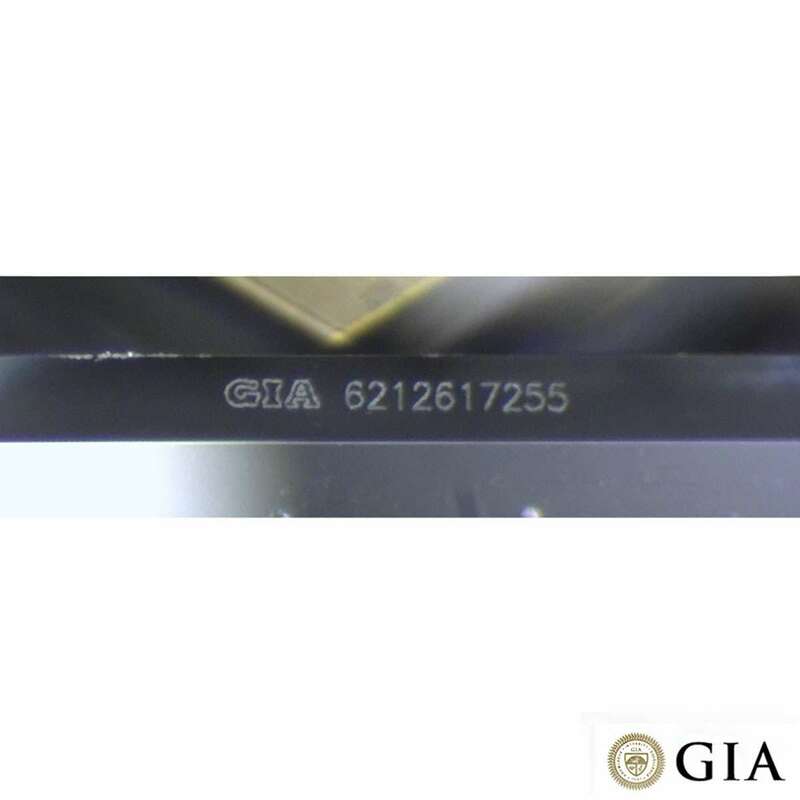 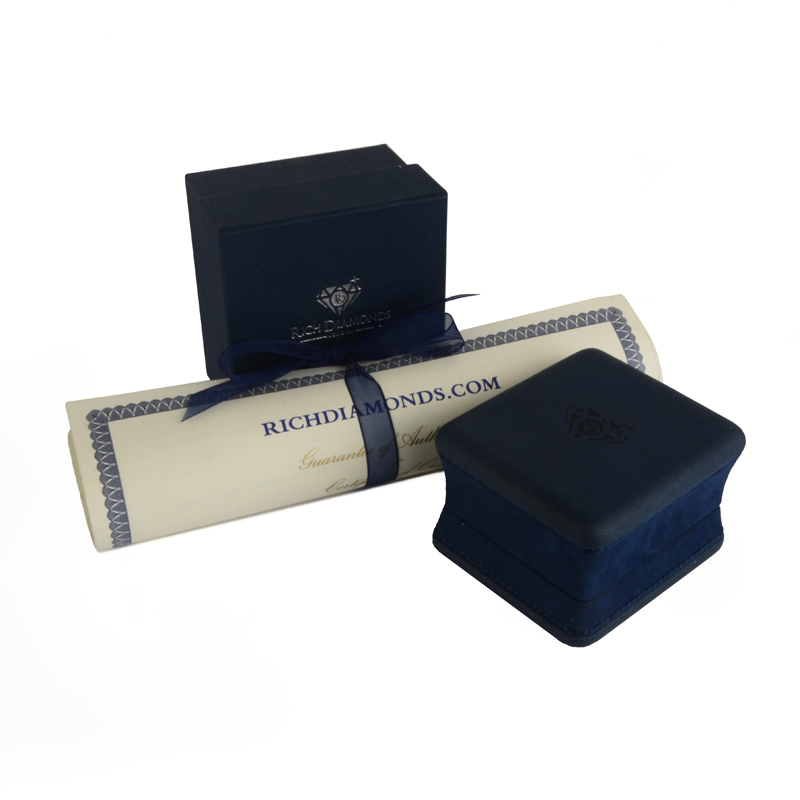 The ring comes complete with a RichDiamonds presentation box and a copy of the GIA diamond report dated January 2016.